Hear how Orlando's greatest Advertising Legends began as fine artists prior to a digital age. The Orlando ad industry has had many fine artists who developed their careers and eventually became creative & art directors of ad agencies and corporations — some becoming agency owners themselves. This market enjoys the benefit of still having most of that artistic talent right here. Prequel to Pixel showcases some of the recent fine artwork of these amazing “creatives” who continue to practice their art and pays homage to their creative contributions to the ad industry. 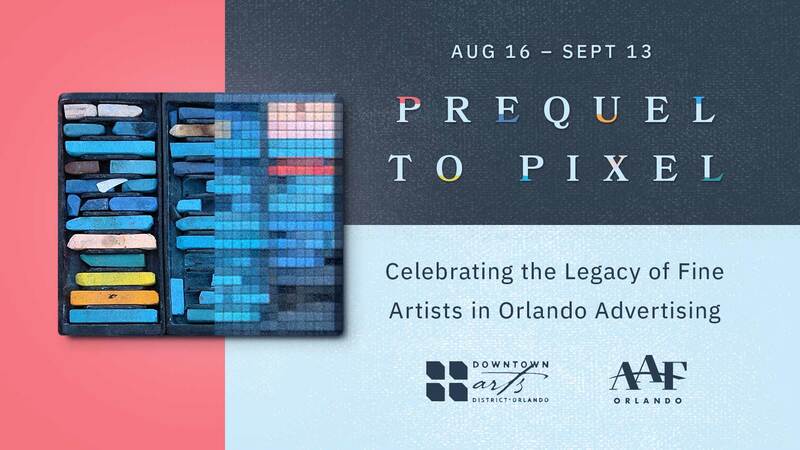 Opening Night Social: Join us as we celebrate the opening night of this gallery at Orlando's monthly Third Thursday kick off event. Hear how these Advertising Legends began as fine artists prior to a digital age. Get Tickets.